I’m so excited to share about something that I’ve been working on for a while. 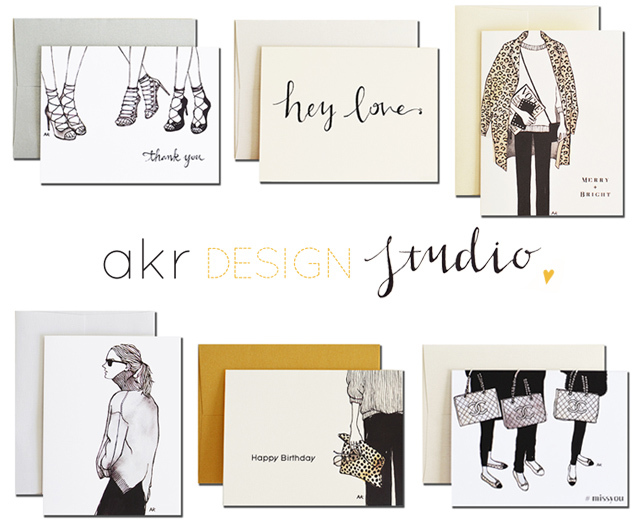 As I posted a few post down, I launched new stationery line akrDesignStudio. It’s been a while since I designed and branded an apparel brand and after I’ve worked on many different projects, I’ve found that creating products is what I love the most. 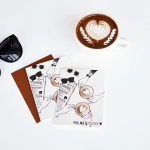 All of my greeting cards are inspired by fashion and stylish people around the globe, and these cards combined my love of fashion and illustration. 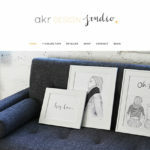 Here’s my Etsy shop which just opened. 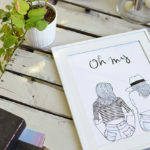 Still very new but I’ll keep adding more products such as note pads, posters etc. I really appreciate if you take a look or even spread the words! They are very cute card ideas!! Wow these are GORGEOUS!! I love stationery, especially when the design is simple and yet beautiful. Thanks for letting me know about these, Akiko! Really cool idea! I love original post cards! i love the chanel and happy birthday one. I love the designs as well…. so chic!